Depending on whom you ask, Internet addiction rates range from 1% to 9% of the population, according to a 2012 study published in Current Review of Psychiatry. As smartphones, tablets, and other gadgets become progressively more embedded in our daily lives, those numbers are likely to increase. Most people, upon being accused of Internet addiction, become defensive. They insist they need to be online for work, that they are socializing with loved ones, or that spending time reading online is the same as curling up with a good book. This is no defense against the reality that Internet addiction is very real, since addicts of all varieties routinely deny that they have a problem. Because the Internet isn't a mind-altering substance, though, many people still have difficulty accepting the notion that it can affect the brain in ways similar to some drugs. What's behind this phenomenon? A complex set of interlocking factors contribute to making the Internet a powerful draw, especially for people who are already vulnerable to addiction. Dopamine is the brain's pleasure and motivation neurotransmitter. This powerful neurotransmitter is what motivates your to engage in pleasurable experiences, like spending time with loved ones or going on a shopping spree. It also plays a role in drug addiction, since many drugs stimulate dopamine production. For most addicts, it's the dopamine rush that keeps them going back to drugs even when the consequences are high. Dopamine also plays a role in Internet addiction. Internet users get small rewards--a message from a friend, an interesting story on social media, a new job lead--every time they pick up a gadget. These rewards increase dopamine production, creating a vicious cycle that encourages users to keep accessing the Internet to keep getting a "hit" of dopamine. 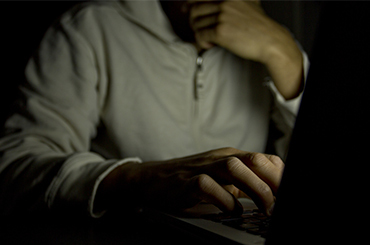 Research supports the close association between dopamine and Internet addiction. One recent study found changes in brain function and dopamine levels in people who compulsively use the Internet. So, if you have been struggling with a compulsive need to use the internet and find yourself stuck in long and unproductive cycle that leaves you feeling depressed and sad--it may be because you have developed an addiction. There are programs that can help you overcome your compulsions, call 1-888-993-3112Who Answers? to speak to a treatment support staff member. A decade ago, you had to be at your computer to access the Internet, but now that it's constantly available, temptation is everywhere. Internet junkies looking for a fix need only pick up their phones or tablets. Even in the middle of the night, a quick bathroom break provides another opportunity to indulge. In an increasingly fast-paced world that encourages us all to constantly pursue more and more stimulation, it's tough to resist the pull of the web. With its promises of new connections, more entertainment, and a better life, it's easy to understand how otherwise healthy people become fixated on getting their next shot of Internet-related adrenaline. Several studies, including a 2012 review, argue that Internet addiction is closely linked to problems with impulse control. A generation ago, everyone had to get used to being bored, whether it was due to long lines or long doctor's office waits. The Internet promises us permanent relief from boredom. No matter where you are, you can get a quick dose of entertainment. Research suggests, though, that we need boredom to think creatively. When you can't daydream, your ability to occupy yourself at times of boredom plummets, nurturing a progressively stronger need to constantly check your phone and surf the web. Eventually, some users find that they simply cannot be entertained without the Internet. Research is mixed on the role personality plays in the drive for rapid stimulation. 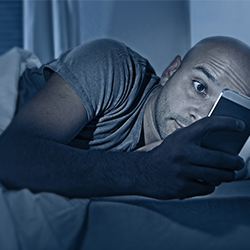 A 2014 study argues that it's not a certain type of person who seeks frequent stimulation; rather, our increasingly stimulation-driven environment compels us all to seek entertainment every second of the day, making most people vulnerable to Internet addiction. In some ways, the Internet is a more powerful drug than even the highest doses of street drugs. Traditional drug users eventually experience a chemical tolerance that blunts the effects of the drug. With the Internet, the experience is different every time. This keeps users perpetually chasing another adrenaline rush spurred by the novelty and thrill of a web of information and entertainment. And because Internet users are unlikely to stop seeing positive effects associated with their addiction, they may continue "using" without realizing there is a problem much longer than other addicts might. Even prescription drugs still carry a stigma. Alcohol isn't allowed everywhere, and street drugs are illegal and potentially dangerous to access. The Internet, however, is everywhere. Compared to other addictions, use of the Internet is relatively consequence-free. You don't have to worry about going to jail or overdosing, and your family and friends are unlikely to stage an intervention. You won't get physically ill.
You will still be able to think like yourself. Worse still, in an increasingly connected world, some people find that they are actually penalized for not being constantly available. Your client might hire someone else if you don't return her email in a matter of seconds, and your boss might expect you to be able to work no matter where you are. Even your mother might panic if you don't return her text messages in a few minutes. Because the Internet is constantly available, and because the pressure to be continually online is high, Internet addicts often find that their addictions are rewarded--even when they neglect their family, friends, and health in favor of a few meaningless moments online. If you need help in breaking the cycle but managing your commitments, treatment can help. Please call 1-888-993-3112Who Answers? and find a suitable treatment program today. For people with attention deficit disorder, the Internet is a powerful antidote to boredom. It's not just those with a clinical diagnosis of ADHD, though. The Internet itself may be undermining the ability of society as a whole to maintain attention. Ten years ago, the average attention span was 12 minutes. Now it's five, according to a recent PEW survey. This cultural climate makes the Internet a potentially addictive experience for just about anyone, and once you develop that tendency, real life can seem distinctly uninteresting. If you've ever wondered why people keep playing slot machines even when they lose, the answer lies in a theory called intermittent reinforcement. First identified by behaviorist B.F. Skinner, intermittent reinforcement occurs when an action is only reinforced periodically. It's highly effective at getting people to do things that only rarely work. For instance, intermittent reinforcement might help explain why your friend keeps texting that guy who only returns her calls every few weeks. The same phenomenon is at work with Internet addiction. You don't get a reward every time you check your email or social media accounts, but sometimes there's something interesting there. That push to keep checking until something good happens is virtually identical to the patterns at work when a person repeatedly pulls the lever on a slot machine. Over time, intermittent reinforcement can make the web a highly addictive place to spend your day.